SDMC commissioner Puneet Goel said the expenditure by the civic body would be recovered over time with savings in electricity bill and by selling excess power. 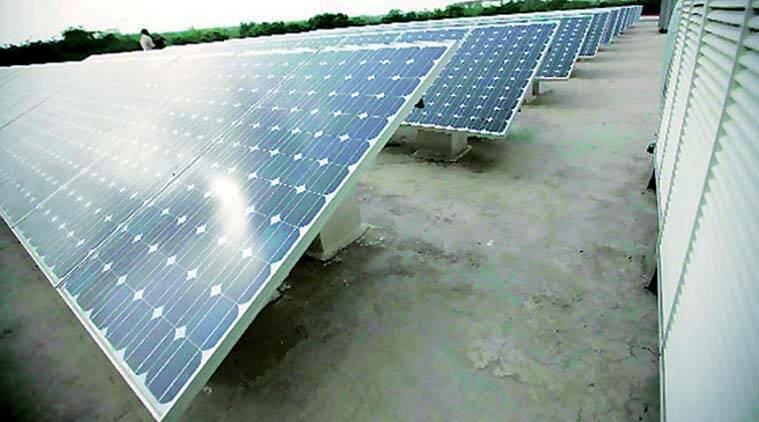 Venturing into solar technology, the South Delhi Municipal Corporation (SDMC) entered into an agreement with Solar Energy Corporation Of India (SECI) Monday for grid connected rooftop solar power projects on the civic body’s buildings and offices. This will be a part of the corporation’s renewable energy initiative. The efforts are likely to generate 20MW solar power in coordination with local discoms for net metering of the generated power as per the prevailing regulation of the Delhi Electricity Regulatory Commission. The MoU was signed for an initial period of two years for generation of solar power, expected to produce approximately 10MW from panels on rooftops of 400 municipal buildings, including schools, and 10MW on spare and vacant land of the corporation. The corporation will make available rooftops of buildings on “right to use” basis to the SECI or its authorised representatives for the project. It will also provide project cost, determined through the competitive bidding process. South Delhi mayor Shyam Sharma said the project was of “paramount importance” and would go a long way in generating green energy and selling excess power generated to the discoms. According to the civic body, the project will help it save a substantial amount on its electricity bill.